The Association “5 a day” and the popular pig Peppa Pig allies continue its efforts to teach the little ones to eat better and healthier. Thus, after the success of the campaign “Fruits and vegetables, in summer more than ever”, they return with 10 fun tips for this fall. We are in the autumn, the perfect season to enjoy the explosion of colors that brings nature and delicious fruits and vegetables that come with this season. Therefore, the endearing character of the Peppa Pig series and partnership “5 a day” back of the hand to continue promoting the consumption of fruit and vegetables from childhood, a stage that is as essential to integrate them into the diet. In summer, Peppa Pig and “5 a day” showed us the first poster of this collection, which showed us easy and fun fruit and vegetable of the moment examples. The campaign was a great success and that both wanted to continue with this project, now focusing on the fall, and thinking of parents and children. The new poster, which is available for download on the official website of Peppa and the “5 a day”, shows some of the most popular seasonal products such as mushrooms, berries or squash. It will find tips that encourage the whole family to eat healthily, represented through 10 funny vignettes with drawings of the famous pig. Stress the importance of breakfast and complement it with a tangerine – delicious in those months – or use to discover less common fruit at other times of year, such as refreshing and fleshy Granada are some of the examples. 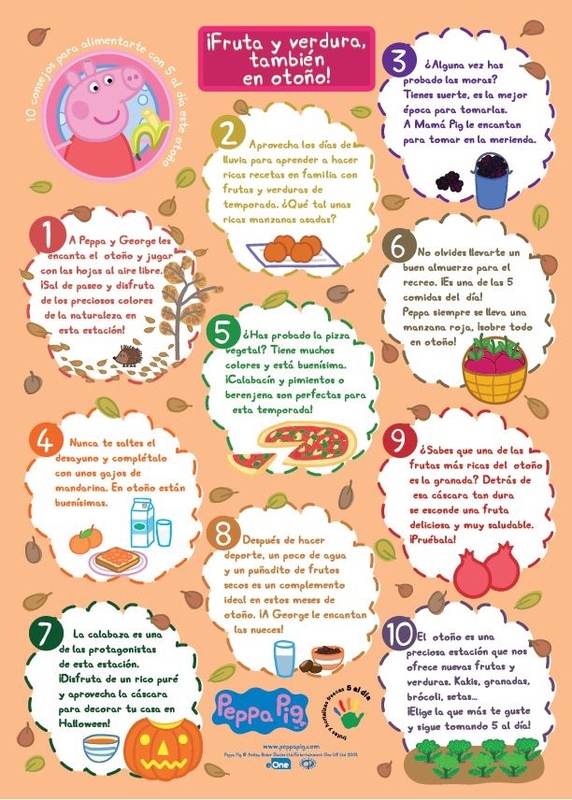 This poster is the second in a collection that aims to integrate the diet of kids eating fruits and vegetables throughout the year. The following will be released next winter, ending the campaign in spring. “With these initiatives we contribute to improve health and promote good habits among children, and that a healthy child is a healthy adult,” says Nuria Martinez Barea, director of “5 a day”. Peppa Pig is a children’s series that has become a mass phenomenon since its inception in 2003, especially among children aged 2-5 years old. Recurring episodes show their characters consuming fruits and vegetables, eating salads or picking vegetables directly from the earth. Fruits and vegetables are key to feed food the whole family, but especially for the little ones, because they provide important nutrients for health like water, fiber and many vitamins and minerals difficult to find in other foods . 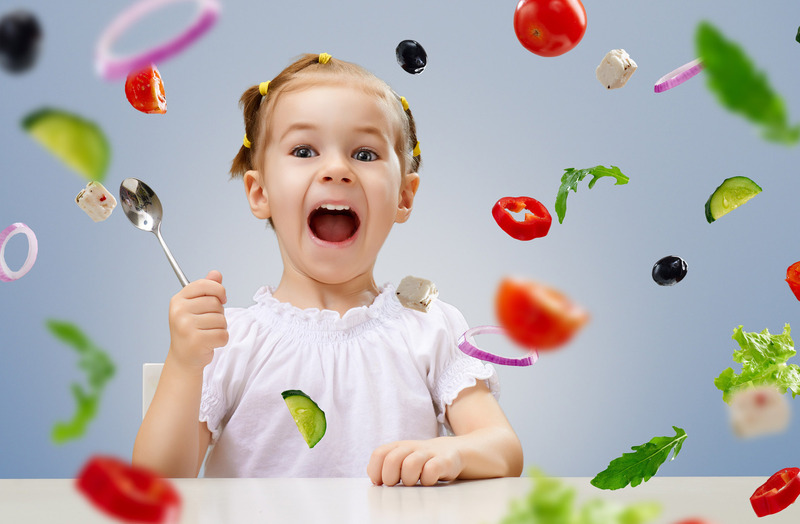 Moreover, fruit and vegetables usually take in the family environment is the first step for children to do so naturally and seamlessly integrate tensions in their eating habits. During childhood eating habits that will remain throughout life and largely will shape their health in adulthood are set, so it is important that key foods such as fruits and vegetables part of your day. 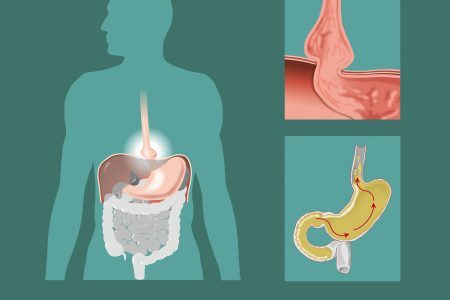 An active lifestyle and a varied diet rich in plant foods such as legumes, bread, pasta, potatoes and fruit and vegetables, and where the consumption of fat, sugar or salt is limited, it is essential to achieve and maintain a good health status in childhood. “5 a day” is an international, non-profit, whose objectives are to promote better eating habits of citizens and report on the health benefits of eating 5 servings of fruit and vegetables.